If you thought you had seen it all when she brought you the most dramatic diary room sessions, then you thought wrong. One of our favourite contestants from Big Brother Naija, Uriel Oputa is bringing back all that drama mixed with sugar, pepper, curry and all other spices you can think of. Did I hear someone say, “Too much sauce?” That’s the idea! Some of you might already be bursting with questions. Wait for it! First, what’s a Celebrity Chef without an equally befitting kitchen? 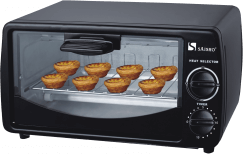 All of this drama would be brought to you LIVE in a kitchen fully-equipped with the latest Nexus appliances. For those trying to wrap their heads around this #fitfam thing, come and see the Nexus Airfryer work its magic with healthy frying! Who says kitchen appliances always have to come in Black, White or Stainless? Nexus appliances come in a burst of refreshing colours, that bring life to your home. Fam! #KitchenGoals would be redefined at the Nexus Kitchen Cookout with Uriel. You would experience an original “pepper dem” Nexus Kitchen, set in full formation, and Uriel would be there to showcase the unique abilities of all the appliances during the live show. 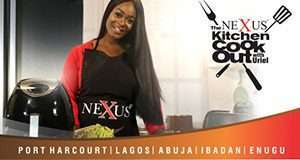 Tell a fellow foodie to get ready because the Nexus Kitchen Cookout with Uriel would be happening in 5 cities: Lagos, Abuja, Ibadan, Port Harcourt, and Kano. Every member of the live audience, would have the opportunity to interact with Uriel and her friends, learn new recipes, and of course, enjoy tasty meals. It even gets better! There would be an auction in each city, and participants would have the opportunity to bid for premium Nexus products at ridiculously low prices. 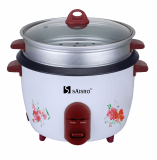 Nexus appliances such as Refrigerators, Gas Cookers, Air Fryers, Deep Freezers would also be sold at crazy discounts and the Nexus Sales team would also be available to answer all your questions. Sounds like something you don’t want to miss? Watch this space for more information. All you need to make that dream home or kitchen is closer now than ever!